You don't need the luck o' the Irish to have fun this St. Patrick's Day weekend. Yes, there's a screening of Disney's Darby O'Gill and the Little People and a Van Morrison Tribute Night, but there's also a TV, zine and Cherry Blossom fest as well as Holi on the beach. For more cerebral options, Peter Sagal reflects on 20 years of Wait Wait .. Don't Tell Me! while John Cusack talks Grosse Pointe Blank. Couch potatoes and TV addicts have a reason to leave home as the annual television festival returns with special screenings and panel discussions with casts and creatives. Amazon Prime Video's The Marvelous Mrs. Maisel kicks off the festival, with NBC's This is Us closing it out. 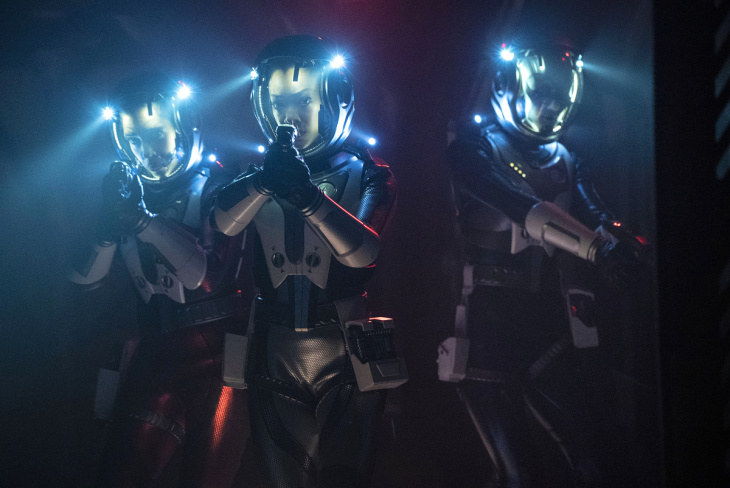 Other festival highlights include: CBS All Access' Star Trek: Discovery and The Twilight Zone, FX's Pose, NBC's Parks and Recreation 10th Anniversary Reunion and VH1's RuPaul's Drag Race. The annual spring fest celebrates Japanese and Japanese-American culture in SoCal with traditional and modern music (taiko drumming, minyo, gagaku, jazz and electronic) as well as origami, ikebana, cosplay contests, anime characters and video gaming tournaments. For the first time, the festival launches a Sakura Night Market on Friday and Saturday night with a focus on Japanese food and drink vendors. FRIDAY, MARCH 15; 7:30 p.m. The American Cinematheque remembers the late Julie Adams with a screening of the monster movie classic in 3D. In her most famous role, Adams gets kidnapped by an amphibious gill-man while on an Amazon expedition. The film will be introduced by Adams' son, Mitchell Danton, and the short "The Lucky Southern Star: Reflections from the Black Lagoon" (21 min.) follows the feature. FRIDAY, MARCH 15; 7:30 - 9:30 p.m. Developed with Pop-up Magazine, this immersive storytelling tour stops in L.A., bringing a night filled with inspirational tales, selfie confessionals and multimedia adventures. The XQ Institute collectively works to reimagine the American public high school. FRIDAY, MARCH 15 - SATURDAY, MARCH 16; 7 p.m.
Quentin Tarantino's repertory movie house presents a double feature of two classic comedies. Up first is Mel Brooks' 1974 film starring Gene Wilder, who taught us all that it's pronounced Fronk-en-steen. Second is Carl Reiner's 1982 film noir homage, starring Steve Martin as a private detective. SATURDAY, MARCH 16; 2 - 9:45 p.m.
Join other astronomy buffs to look at the sun, moon, visible planets and other objects through a variety of telescopes during this family-friendly meetup at the Observatory. Chat with amateur astronomers from the Los Angeles Astronomical Society, the Los Angeles Sidewalk Astronomers and The Planetary Society about the sky, celestial bodies and their star-viewing equipment. SATURDAY, MARCH 16; 4 - 7 p.m. The creators and sellers of esoteric goods, perfumes and potions (with dark Gothic and romantic tones) host a full moon party this weekend with the horror store Dark Delicacies serving as the night's guest vendor. And since it's March, Alice in Wonderland attire is encouraged. If you stick around until the end, baby goats will be onsite to wrap up the night. SATURDAY, MARCH 16; 7:30 p.m.
Director Alex Cox makes an appearance in between a double feature screening of two of his films. Repo Man (1984), starring Harry Dean Stanton and Emilio Estevez, is followed by the L.A. premiere of Tombstone Rashomon (2017), a direct hat tip to Akira Kurosawa's classic Rashomon. In the film, a time-traveling documentary crew heads back in time to record the O.K. Corral shootout, but arrive a day late. They must piece together conflicting details by witnesses. SATURDAY, MARCH 16; 11 a.m.
Join in a garden walk where botanist Frank McDonough explains there's more to booze and brews than just grapes and grain. Learn how "horticulture and hooch" have partnered to enhance the drinking experience for millennia. Meet at the Gift Shop Patio. SATURDAY, MARCH 16; 8 p.m. The host of NPR's Wait Wait ... Don't Tell Me! talks about his most memorable moments and behind-the-scenes stories of quizzing a lot of people over two decades, including Tom Hanks, then-Senator Barack Obama and Supreme Court Justice Stephen Breyer. Sagal also discusses hosting the new PBS series Constitution USA. The Echo Theater Company presents the L.A. premiere of Sarah DeLappe's Pulitzer Prize finalist play. 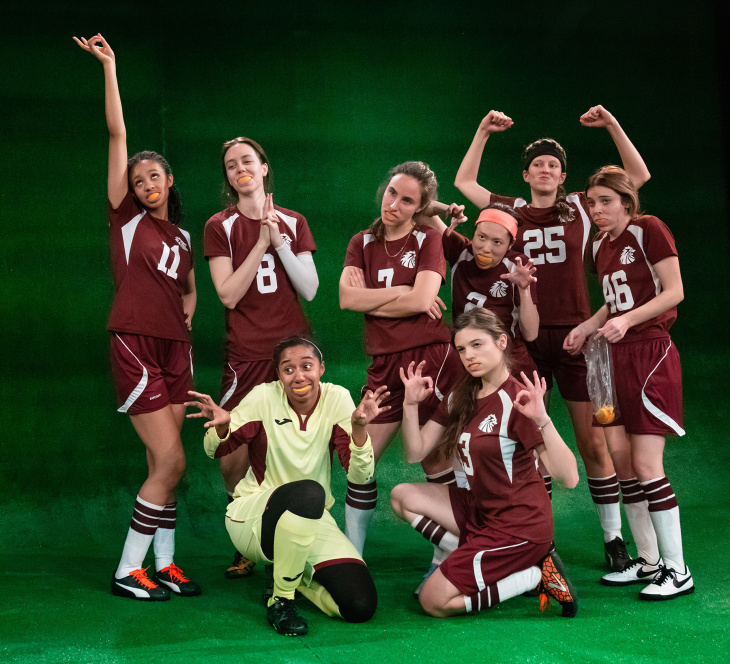 In this work for stage, a indoor girls soccer team of 16 and 17-year-olds navigate the big questions while waging battles. Watch the 1997 thriller-romance starring Cusack as a failing hitman who goes home for his 10-year high school reunion, and Minnie Driver as the old girlfriend he stood up at prom. The actor participates in a conversation following the screening about the film and his career (which includes Say Anything, High Fidelity and Better Off Dead). SATURDAY, MARCH 16 - SUNDAY, MARCH 17; 10 a.m. - 5 p.m. Yes, L.A. is having its butterfly moment. Now celebrate the beautiful winged creatures as DJ Bree Flower takes guests on a musical journey through the life cycle of the butterfly at the museum. Other activities include: constructing butterfly kites to wave at the opening ceremonies, molding a butterfly puddler out of clay, painting nature scenes, and learning about butterfly and pollinator-friendly plants. Through April 30th, visitors can adopt a catepillar with a kit that includes caterpillar food, an adoption certificate and care instructions on how to feed, protect and release your adult butterfly into nature. SATURDAY, MARCH 16; 8 and 10 p.m.
Watch two L.A. classic acts share the stage. The one-night-only variety show features the pink-favoring performance artist alongside the marionettes, including pink puppet cats and pink mice. A new Angelyne music video will also be screened. This event is 18+. The first show is sold out, but a few tickets remain for the late show. Adam Conover, the creator and star of the TruTV series Adam Ruins Everything, presents his live solo show that combines comedy and science. Conover takes on common misconceptions and encourages the audience to think critically about the world around them. The two-day festival explores urban nature, teaching visitors where and how to look for natural wonders throughout L.A. Learn about the region's plants and animals, while meeting the people devoted to protecting and studying them. Each day features performances, hands-on activities for kids and presentations for all ages. Also this Sunday at the museum: The Butterfly Pavilion opens! SATURDAY, MARCH 16 - SUNDAY, MARCH 17; 11 a.m. - 3 p.m. Celebrate the Hindu spring festival of colors with two days of dancing and eco-safe colored powder. DJ Darsh spins music nonstop, while food and drinks from Bollywood Zaika and Tea India. Proceeds from the 12th annual fundraising party will go toward underprivileged communities of India. Musicians pay tribute to Morrison — one of Ireland's best known bards — by performing their own interpretations of both the hit songs and the deep cuts. Expected performers include Jane Monheit, Greg Holden, MILCK, Garrison Starr, The Grand Southern, Cary Brothers and special guest Roger Parham Brown. This venue is 21+. This go-karting experience is in no way related to Nintendo (wink, wink), but does pit old and new characters against each other. Pre-registered racers from each city compete for the chance to win a trip to Las Vegas for the National Championship. There are 16 heats in 16 cities across the country, starting in L.A. and a limited number of tickets left for both adult and junior racers. Please read the height and weight maximums and minimums before registering. SUNDAY, MARCH 17; 11 a.m. - 5 p.m. In conjunction with the Valley Girl Redefined exhibition currently on view, the library hosts a pop-up fair featuring more than two dozen local zinesters (self-published indie artists). Check out the zines, artwork, stickers, pins and collectibles for sale. SUNDAY, MARCH 17; 2 p.m. The Sunday afternoon concert series continues with a musical tribute to the legendary French chanteuse, Edith Piaf. Starring Anne Carrere, the show follows the Parisian singer's career and life, from her humble beginnings to stardom, through her unforgettable songs. The show is peppered with previously unreleased photographs and images of Piaf's Paris. SUNDAY, MARCH 17; 10 a.m. - 11:59 p.m.
Everyone's Irish on St. Paddy's Day, and the OC pub helps you celebrate your heritage through food and drink specials, including $5 pints of its Irish Red Ale and Nitro Stout, green micheladas and live music (from 1 - 4pm). If you're not in Anaheim, Golden Road's other locations in Atwater Village and Grand Central Market are celebrating, too. Watch Scotsman Sean Connery in one of his first leading roles — in a Disney film set in Ireland. There are banshees and leprechauns a' plenty in this 1959 film directed by Robert Stevenson. The Irish double feature closes with The Quiet Man (1952), a John Ford romance starring John Wayne and Maureen O'Hara. How are you spending your weekend? Let us know on Twitter @christineziemba and @LeoHasACat.